Can you feel the chemistry? Are you keen on experimenting? If the answer is yes, then maybe you should consider a career as a chemical engineer. These engineers use their intimate knowledge of chemical processes to help create many of the essential products we use each and every day, like pharmaceuticals, fuels, plastics and clothing. It’s a sector that a lot of young people are feeling the love for; UCAS revealed that 20,000 applications have been made to universities for courses starting in 2014. That’s an 18.5% jump in the space of just a year. As well as being involved in the production process for new goods, people working in chemical engineering jobs are also focused on finding ways to make industrial procedures more streamlined and efficient for the benefit of society. As a result, they often become involved in designing production facilities and devising processes themselves, making this role a true blend of chemical expertise, technical awareness and problem-solving. If there’s one major benefit that comes from working in this sector, it’s that the skills you’ll develop will open a lot of doors for you. Typical chemical engineering jobs for graduates vary, ranging from positions in energy and medicine to R&D and technology. 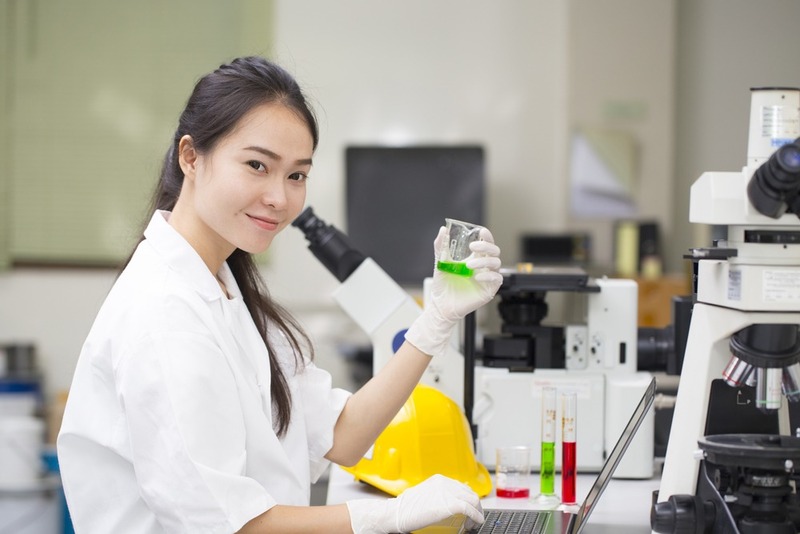 While the practical side of working in chemical engineering will allow you to apply your knowledge to fields like energy, oil and gas and drug development, the more practical and transferable skills like problem analysis, project management and technical proficiency can help you find a career in other sectors, like finance and consultancy. Then there’s the salary. Graduates who land on their feet in a graduate role can expect to earn an above average wage, while thanks to the nature of the industry and the high-level skills wanted by employers, experienced people in chemical engineering jobs can look forward to earning around £70k. What makes a chemical engineer? Is it any surprise that to work in chemical engineering, you should ideally have a keen interest in chemistry? If you enjoyed playing with a science kit as a child, that’s a good start. Alongside theoretical skills you also need practical ones, like the ability to communicate your ideas and findings clearly, an almost obsessive attention to detail and a nice balance of logic and creativity to find ways of solving problems. Many chemical engineer vacancies require candidates to have a BEng (bachelor of engineering) or MEng (master of engineering) qualification. However, as maths and scientific ability are just as important, students studying these subjects could also be in with a shout of landing chemical engineering jobs for graduates. If you are interested in chasing down a career in this sector but haven’t got experience in the right subjects, you might want to consider chemical engineering training courses to give you the springboard you need. Major players like BP, Unilever and Shell offer placements and chemical engineering internships to provide greenhorn undergraduates interested in the sector with a taste of real-world experience. Have you registered for a FREE RateMyPlacement account yet?